We've finally reached double digits in Arizona, just in time for fall! I love going outside in the morning to 60 degrees, with just a slight chill in the air. Now you can laugh if you are in a cooler part of the country, but after months on end of 110, it does feel cool! Today's cards use the Count My Blessings stamp set again, and this time I did some water-coloring. The images in this set are just asking to be water-colored, and it's so much fun to feel like an artist! What do you think? 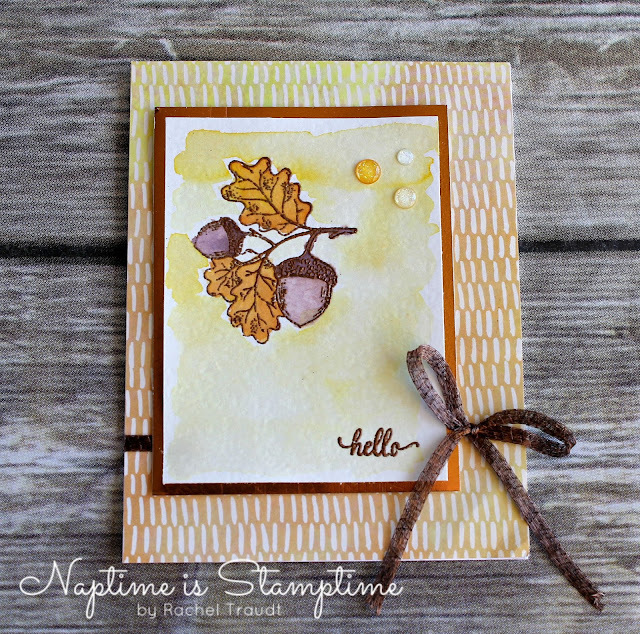 I stuck to all of my fall products, and I think that touch of copper is just perfect! If you haven't tried the Copper Trim yet, you should. I am on my third roll already! Have you been working on fall projects? In the past I think I've always skipped right to Christmas, but I'm really enjoying the fall stuff this year! Drop a comment and let me know what you've been working on. I would love to know! 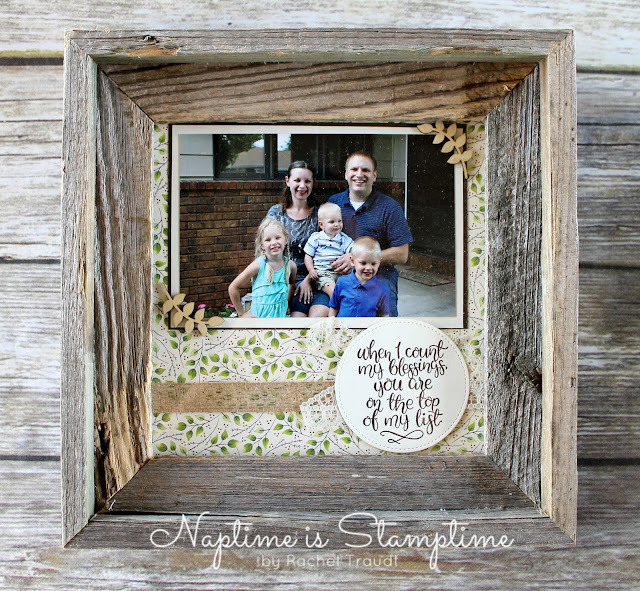 The frame is from Hobby Lobby, and is 8" x 8". The rest of the products I used are listed below. 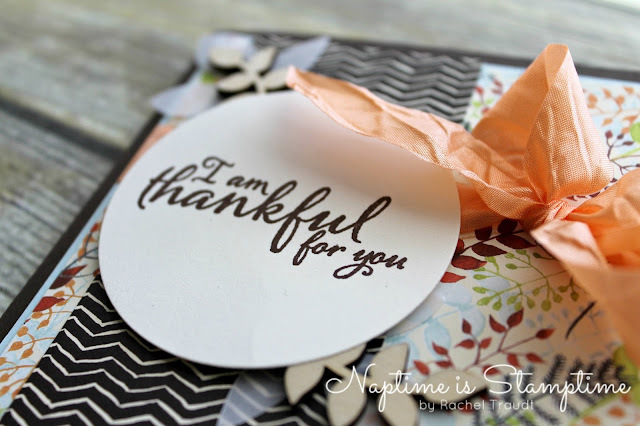 And the sentiment from the Count My Blessings stamp set - one of my favorites, maybe ever! 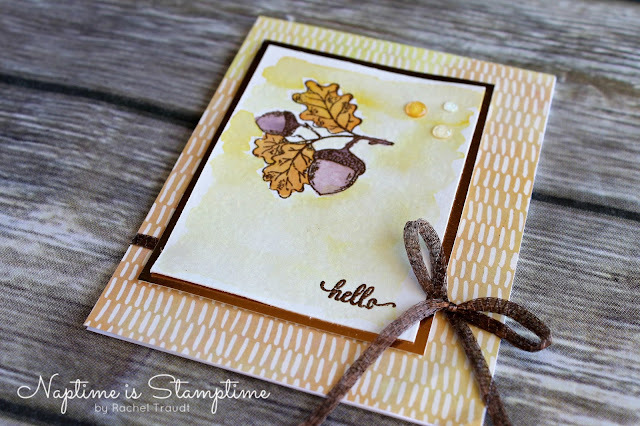 Today's card includes all of my favorite things from the Holiday Catalog - the Painted Autumn Designer Series Paper, the Painted Harvest stamp set, and the Leaf Punch, plus a few extras from the Annual Catalog that I love too! The inspiration for this card came from a gift bag pictured in the Holiday Catalog. I love all of the project ideas in there! 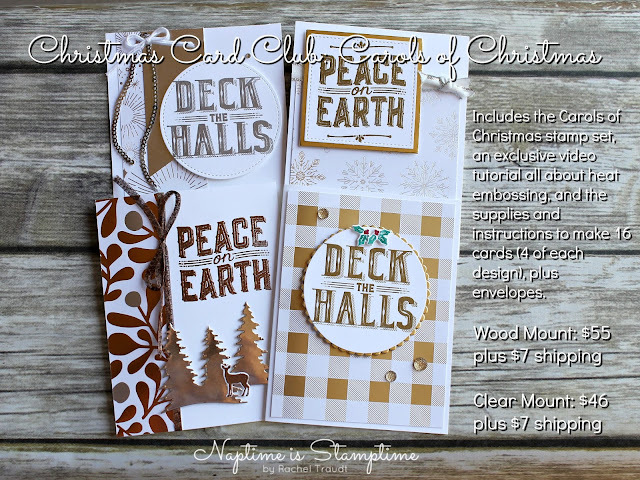 It's the time of year to start thinking about making Christmas cards, if you're a crafter that is! 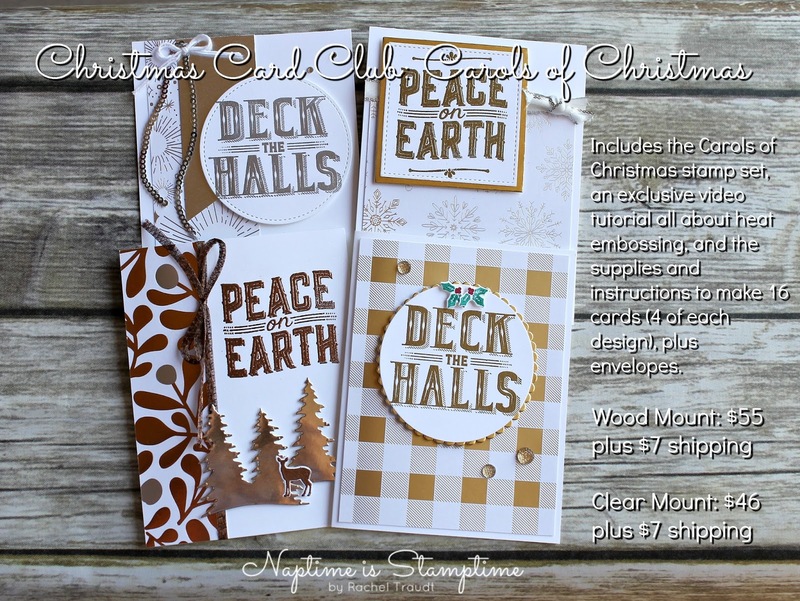 And I have something to help you out - my Christmas Card Club! During the months of September, October, and November, I'll be running a Christmas Card Club, and each month you participate you'll get the supplies to make 16 cards, giving you a good head start on getting those Christmas cards done. 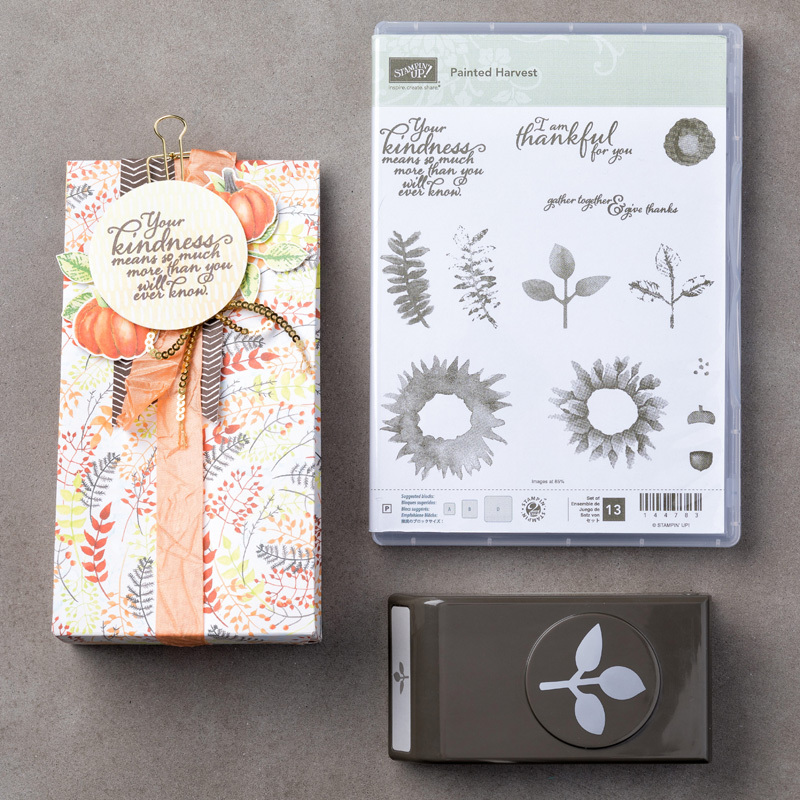 Here are the details: you do not need to participate every month, but if you do you'll receive a free stamp set of your choice (value up to $17)! The class for the month will be available to purchase from the 1st through the 15th of the month, and the kits will ship by the 25th. 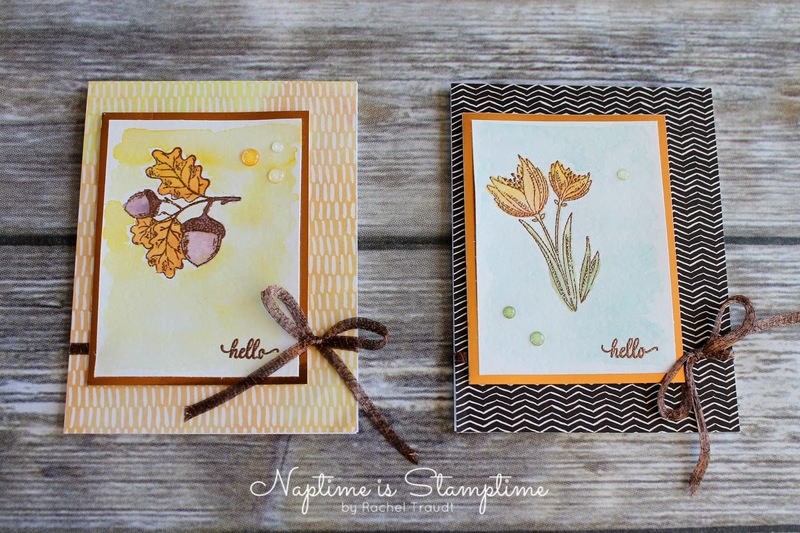 This month's class features the stamp set Carols of Christmas and the technique of heat embossing. You will receive the stamp set in your choice of wood or clear mount, an exclusive video tutorial teaching you how to heat emboss, and the supplies and instructions to complete 16 cards, 4 each of 4 designs. If you do not have a heat tool, you may add one on to your purchase at no additional shipping cost, and I will throw in a Versamark ink pad for free! You may also add embossing powders to your order at no additional shipping cost. 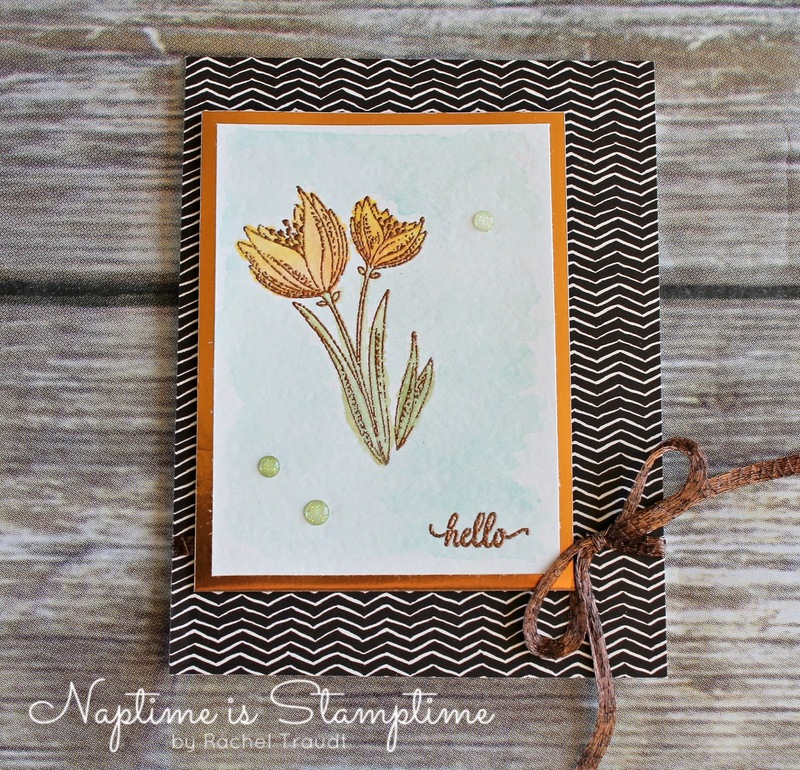 Another option is to use your choice of regular ink and not do the embossing. 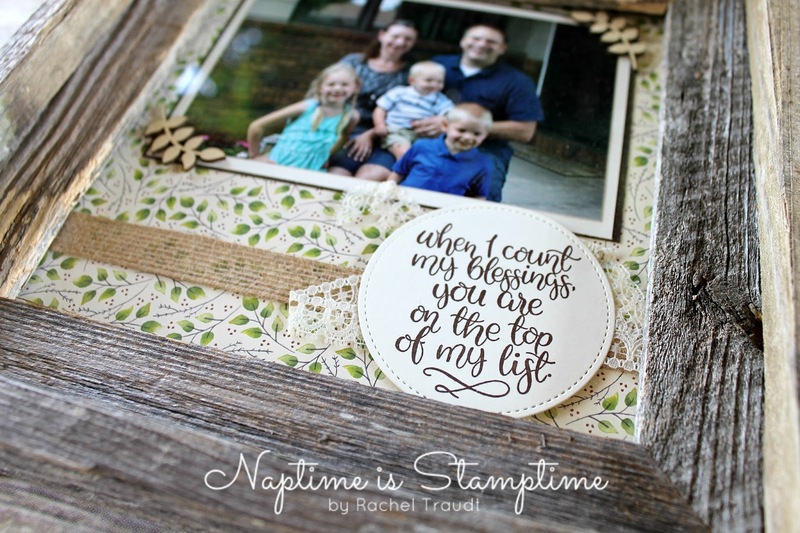 The cost for this month's class is $55 plus $7 shipping for wood mount, and $46 plus $7 shipping for clear mount. 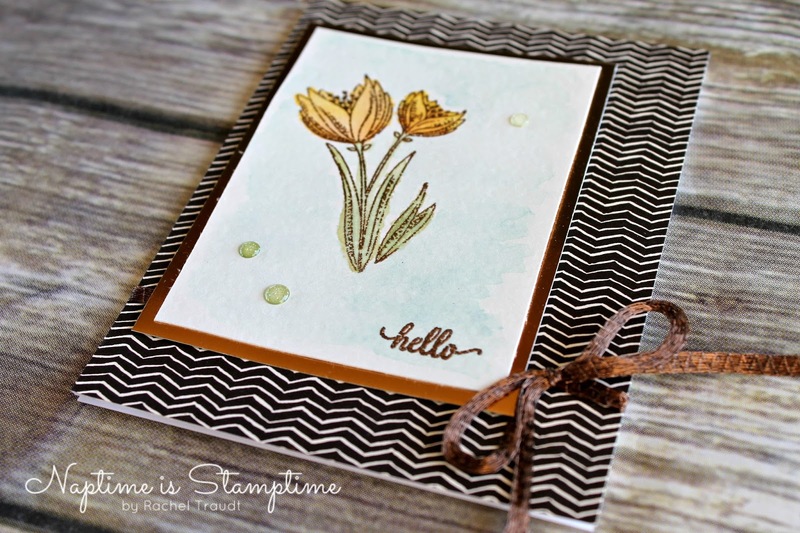 Please email me if you would like the links to purchase, and make sure to note if you are adding the heat tool or any embossing powders to your order.